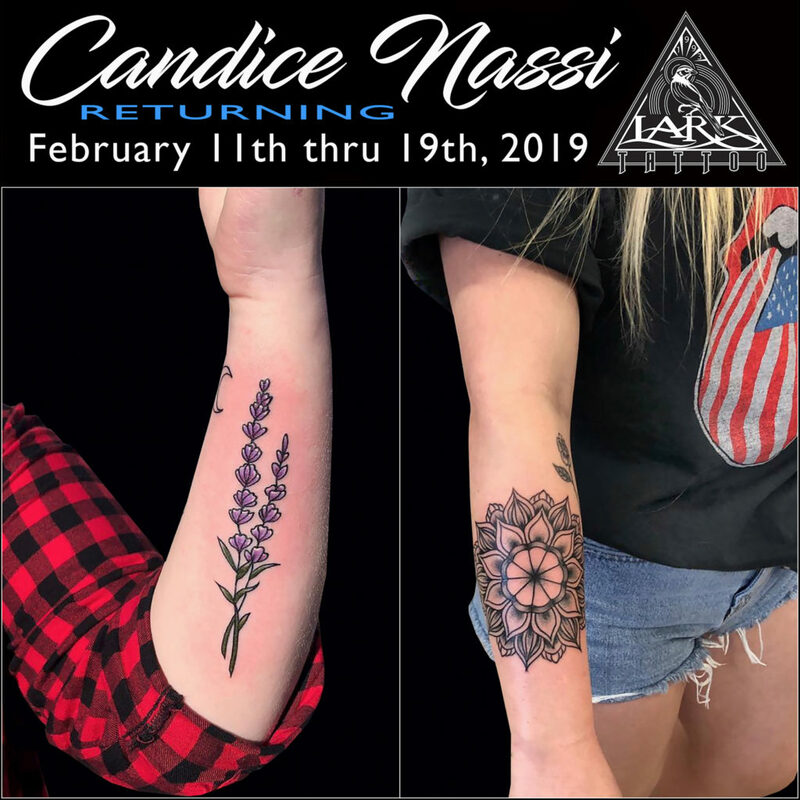 Candice Nassi is returning this February for another guest spot! Just like last time, she will definitely fill up, so get your appointment now! Call:516-794-5844 or email info@larktattoo.com for info/bookings.